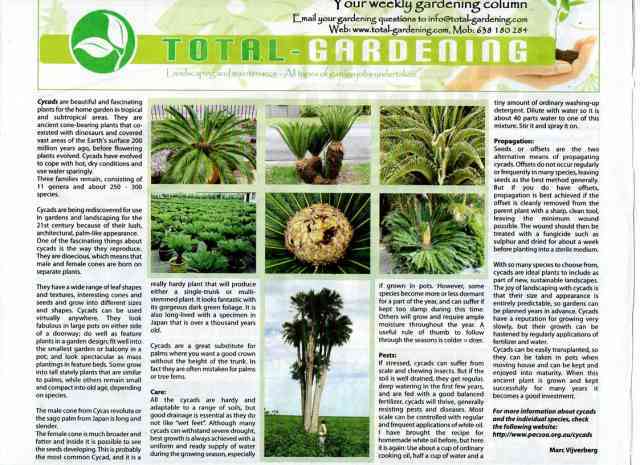 Cycads are beautiful and fascinating plants for the home garden in tropical and subtropical areas. They are ancient cone-bearing plants that coexisted with dinosaurs and covered vast areas of the Earth's surface 200 million years ago, before flowering plants evolved. Cycads have evolved to cope with hot, dry conditions and use water sparingly. Three families remain, consisting of 11 genera and about 250 - 300 species. Cycads are being rediscovered for use in gardens and landscaping for the 21st century because of their lush, architectural, palm-like appearance. 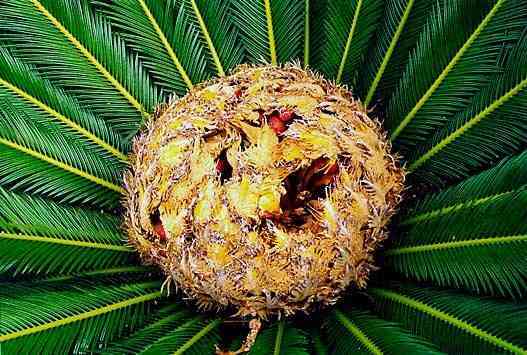 One of the fascinating things about cycads is the way they reproduce. They are dioecious, which means that male and female cones are born on separate plants. They have a wide range of leaf shapes and textures, interesting cones and seeds and grow into different sizes and shapes. Cycads can be used virtually anywhere. They look fabulous in large pots on either side of a doorway; do well as feature plants in a garden design; fit well into the smallest garden or balcony in a pot; and look spectacular as mass plantings in feature beds. 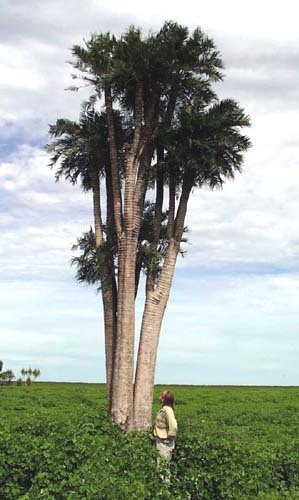 Some grow into tall stately plants that are similar to palms, while others remain small and compact into old age, depending on species. The male cone from Cycas revoluta or the sago palm from Japan is long and slender. The female cone is much broader and fatter and inside it is possible to see the seeds developing. 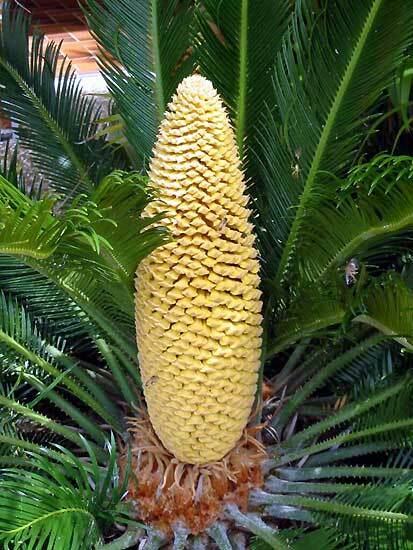 This is probably the most common Cycad, and it is a really hardy plant that will produce either a single-trunk or multistemmed plant. It looks fantastic with its gorgeous dark green foliage. It is also long-lived with a specimen in Japan that is over a thousand years old. Cycads are a great substitute for palms where you want a good crown without the height of the trunk. In fact they are often mistaken for palms or tree ferns. All the cycads are hardy and adaptable to a range of soils, but good drainage is essential as they do not like �wet feet�. 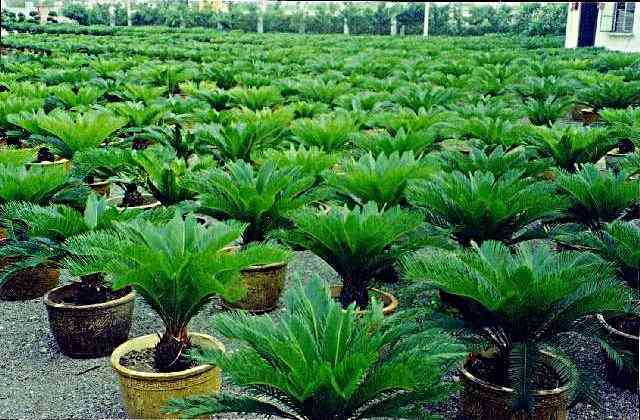 Although many cycads can withstand severe drought, best growth is always achieved with a uniform and ready supply of water during the growing season, especially if grown in pots. However, some species become more or less dormant for a part of the year, and can suffer if kept too damp during this time. Others will grow and require ample moisture throughout the year. A useful rule of thumb to follow through the seasons is colder = drier. 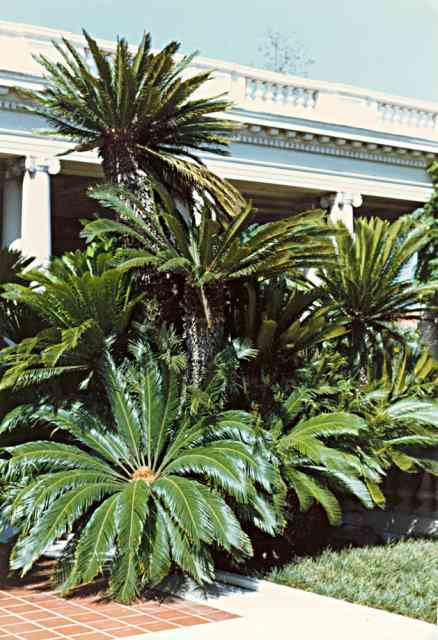 If stressed, cycads can suffer from scale and chewing insects. But if the soil is well drained, they get regular, deep watering in the first few years, and are fed with a good balanced fertilizer, cycads will thrive, generally resisting pests and diseases. Most scale can be controlled with regular and frequent applications of white oil. I have brought the recipe for homemade white oil before, but here it is again: Use about a cup of ordinary cooking oil, half a cup of water and a tiny amount of ordinary washing-up detergent. Dilute with water so it is about 40 parts water to one of this mixture. Stir it and spray it on. Seeds or offsets are the two alternative means of propagating cycads. Offsets do not occur regularly or frequently in many species, leaving seeds as the best method generally. But if you do have offsets, propagation is best achieved if the offset is cleanly removed from the parent plant with a sharp, clean tool, leaving the minimum wound possible. The wound should then be treated with a fungicide such as sulphur and dried for about a week before planting into a sterile medium. With so many species to choose from, cycads are ideal plants to include as part of new, sustainable landscapes. The joy of landscaping with cycads is that their size and appearance is entirely predictable, so gardens can be planned years in advance. Cycads have a reputation for growing very slowly, but their growth can be hastened by regularly applications of fertilizer and water. Cycads can be easily transplanted, so they can be taken in pots when moving house and can be kept and enjoyed into maturity. When this ancient plant is grown and kept successfully for many years it becomes a good investment.